Meet the Cast of the Upcoming Film Adaptation for the Musical 'Cats'! A film adaptation for the Andrew Lloyd Weber's musical Cats is coming to the big screen, and for those who are dying to know who gets to play who, we've got the answers for you! One of the biggest reveals about the upcoming film recently is of Taylor Swift playing a role in the film, which is perfect as she is also a big cat-lover herself. Composer Andrew Lloyd Weber also spilled a bit of tea in an interview with Vulture, revealing that Swift will be playing either Bombalurina or Demeter, the duo who performs "Macavity the Mystery Cat"! Jennifer Hudson also announced via Twitter that she will be part of the 2019 film as Grizabella, a very old cat who was once a proud, carefree, and flamboyant dancer. One of the songs she's set to perform is "Memory". 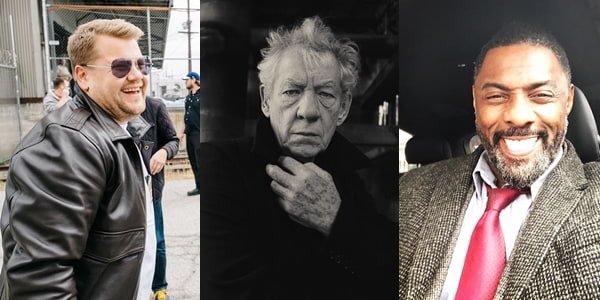 Joining Hudson and Swift are Ian McKellen who will be playing Gus the Theatre Cat, Idris Elba, and James Corden, whose roles are yet to be announced. Directed by Tom Hooper (The King's Speech, Les Miserables, and The Danish Girl), Cats tells the story of a tribe of cats called "Jellicles" who must make "The Jellicle Choice" on which cat should go to the Heaviside Layer and come back with a new life. The original musical premiered in 1981, and is currently known to be the fourth longest running musical in Broadway history. Homestream images taken from the celebrities' official Instagram pages.